​​OH. MY. GOD! Did someone say mohair? 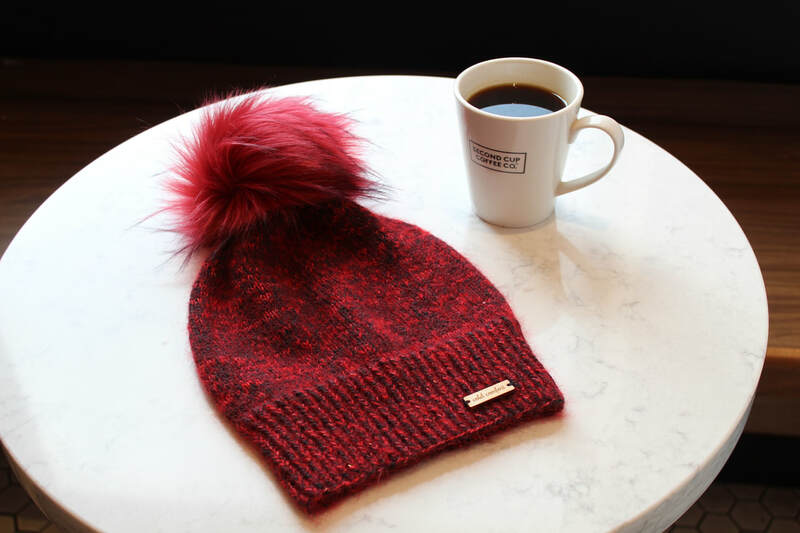 If you love fluffy hats, you’re going to love Janice. This bright slouchy hat is fun and simple to knit…and a little twisted. Want to use that lonely ball of mohair/silk that’s languishing in your stash? Or that irresistible ball of fluff you scored at your local fleece festival? Go for it! Janice was designed to accommodate a wide range of mohair-style yarns. Be bold! After all, you can’t use the original yarns…they’re discontinued, just like Janice. 10.25” (26 cm) length x 8.5” (21.5 cm) width / 17” (43 cm) circumference [un-stretched]; to fit 22” (56 cm) head circumference—average adult female. Note: This pattern is worked with two strands of yarn held together; one strand of MC and one strand of CC. MC: Americo Original Baby Dehaired Llama (100% Baby Llama; 251 yards [230 meters] / 100 grams): 1 skein in shade “Kohl” (sample used ~ 165 yards / 150 meters / 65 grams). CC: Debbie Bliss Party Angel (72% Mohair, 24% Silk, 4% Metallic Fibre; 218 yards [199 meters] / 25 grams): 1 ball in shade #15507 “Red” (sample used ~ 175 yards / 160 meters / 20 grams). Although these exact yarns/colours have been discontinued, this pattern is quite forgiving and will work with a variety of yarns, as long as the weights are close enough to get gauge. Mix it up by using a light or dark colour for both the MC and CC, or a light colour for the MC and bright colour for the CC. Be uninhibited, just like Janice! One 16” (40 cm) circular needle size US 3 (3.25 mm). ​*24 stitches & 30 rounds = 4” (10 cm) in Stockinette Stitch [un-stretched]. *Using larger needles; with one strand each of MC and CC held together.